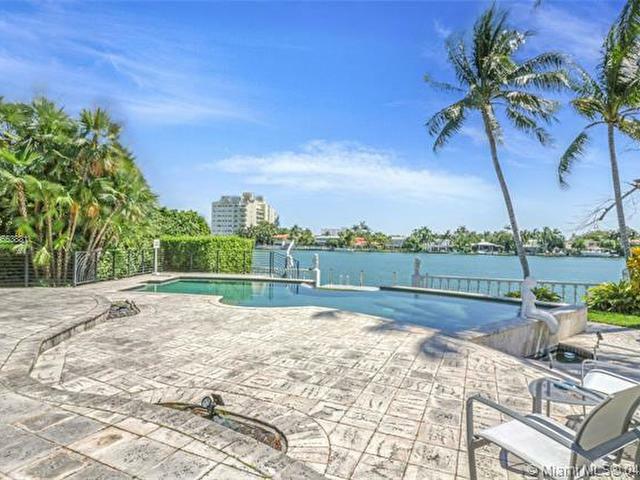 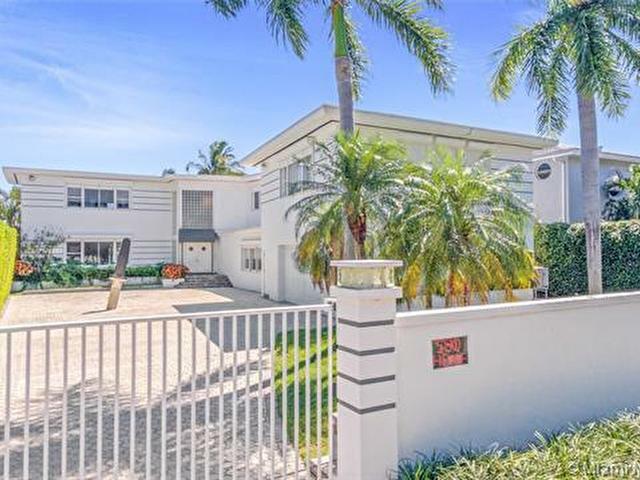 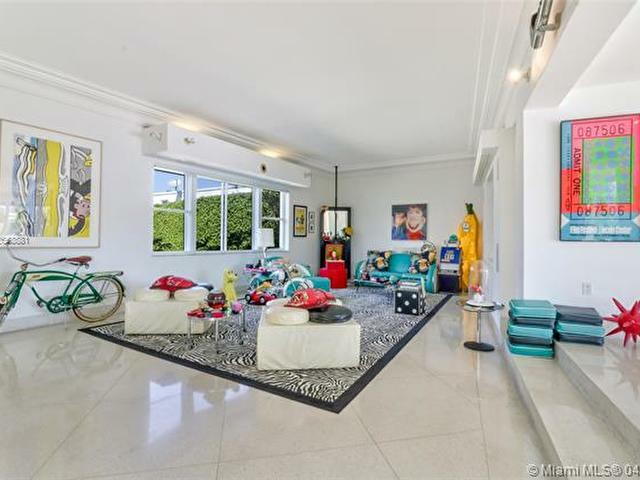 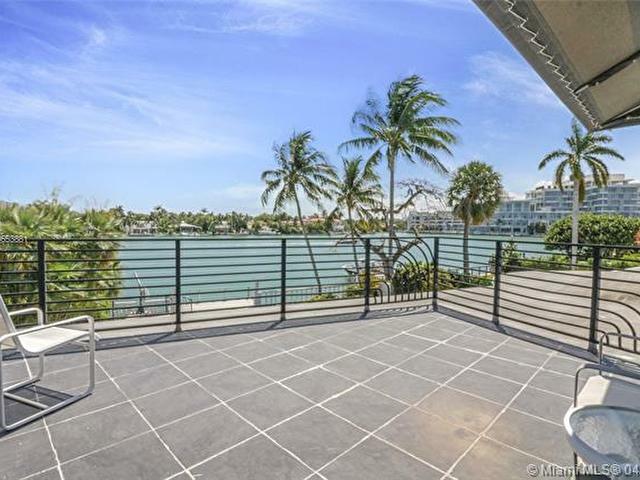 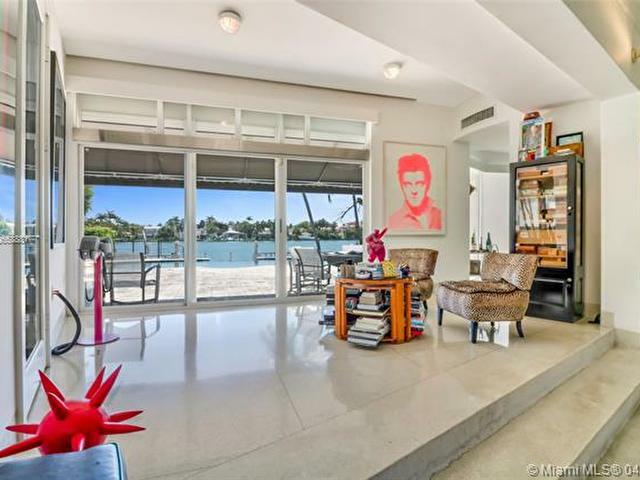 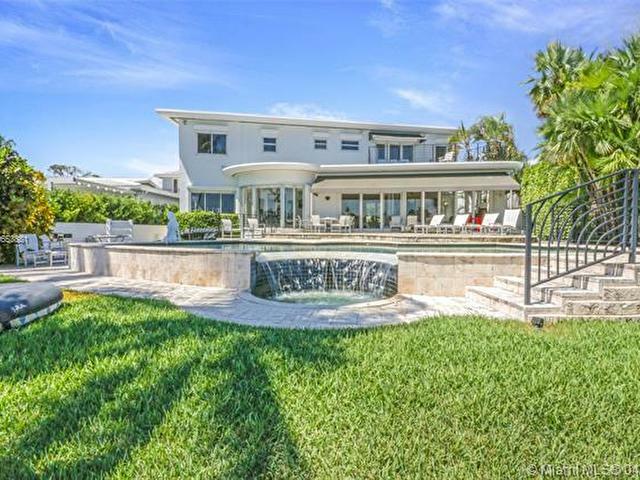 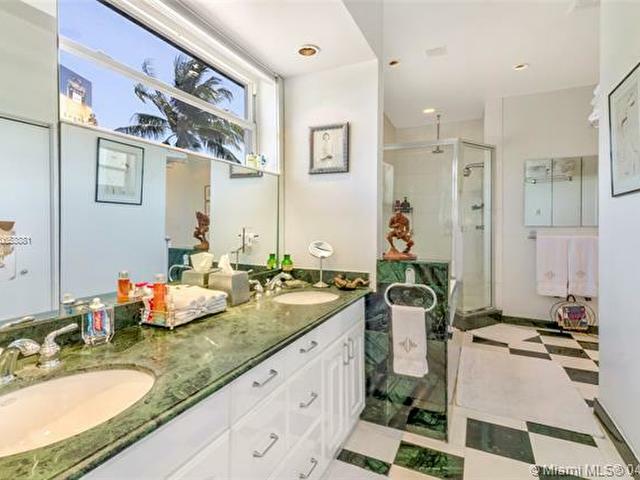 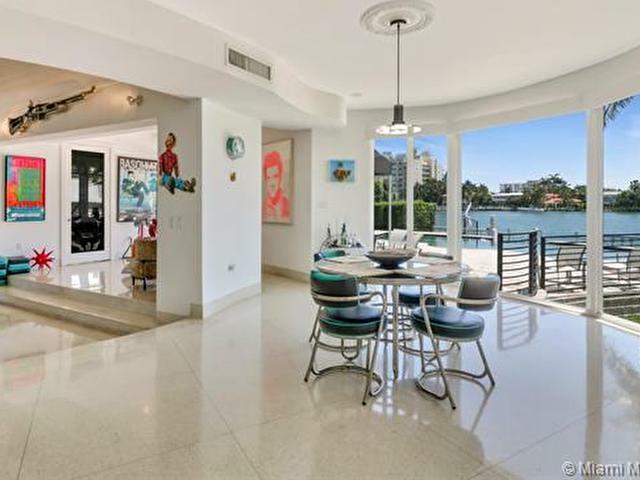 Large waterfront art-deco style home in Miami Beach. 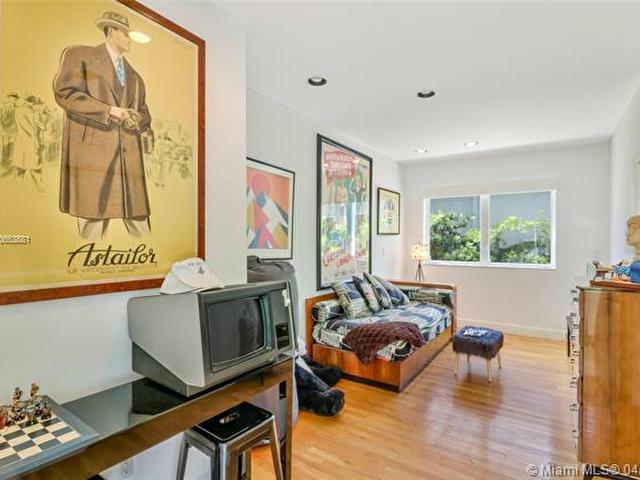 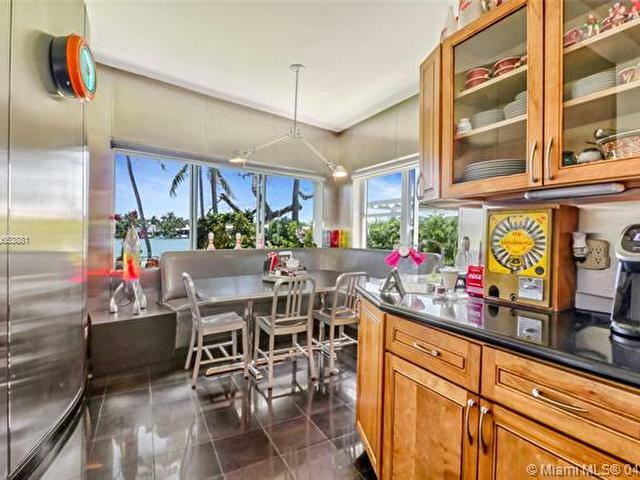 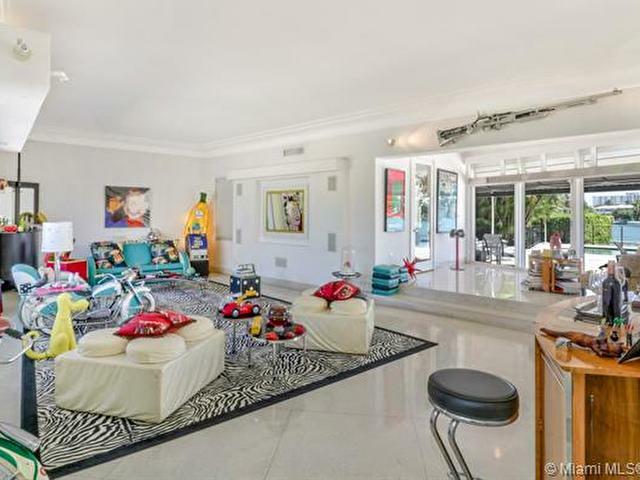 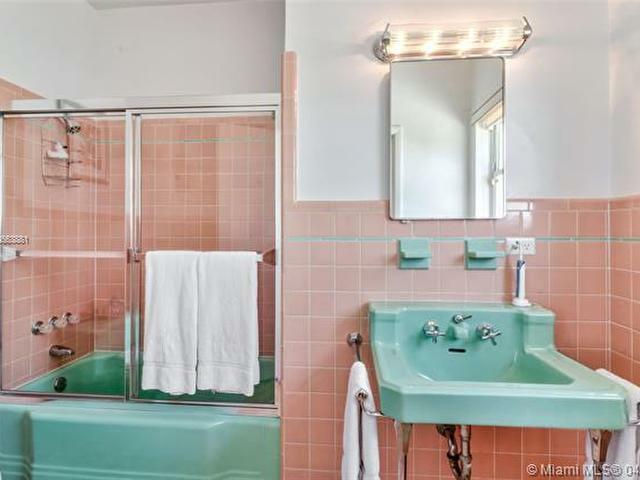 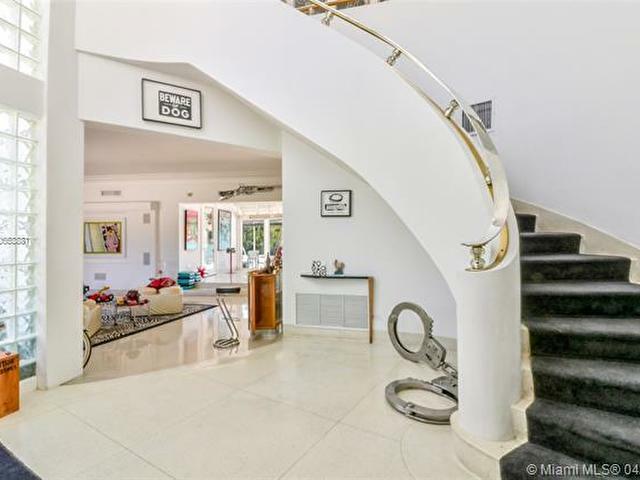 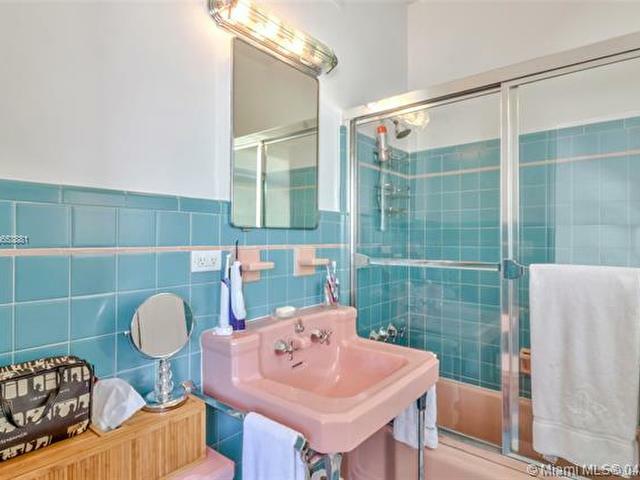 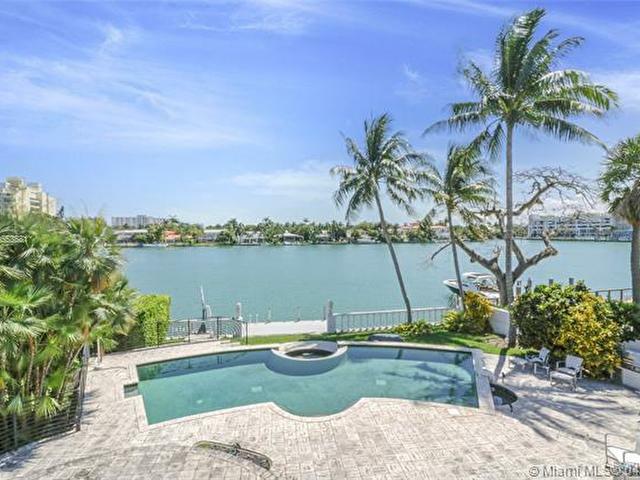 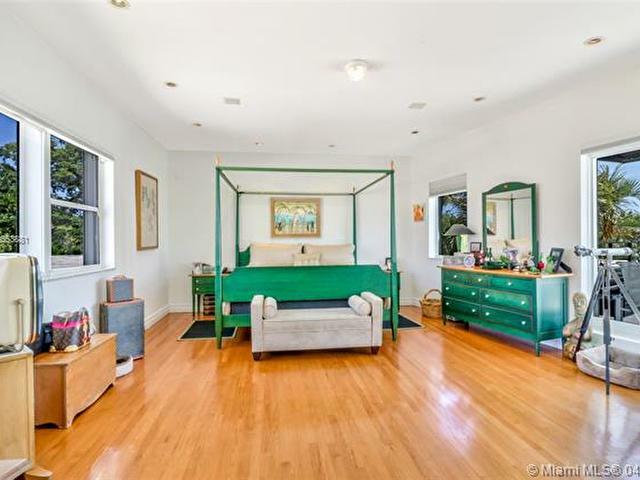 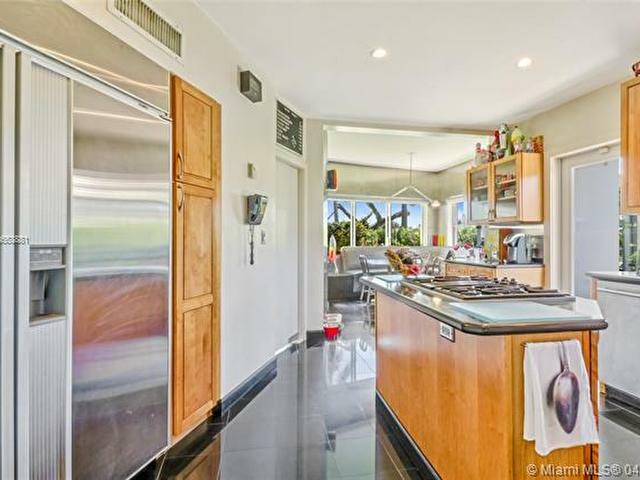 Spacious 7 bdrm 7 bath built in 1948 by Norman Giller. 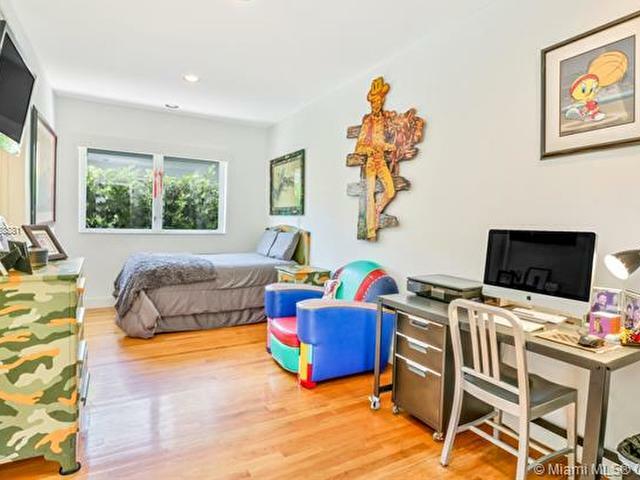 Includes studio guesthouse with separate entrance and personal kitchen atop a 2-car garage with extra storage space. 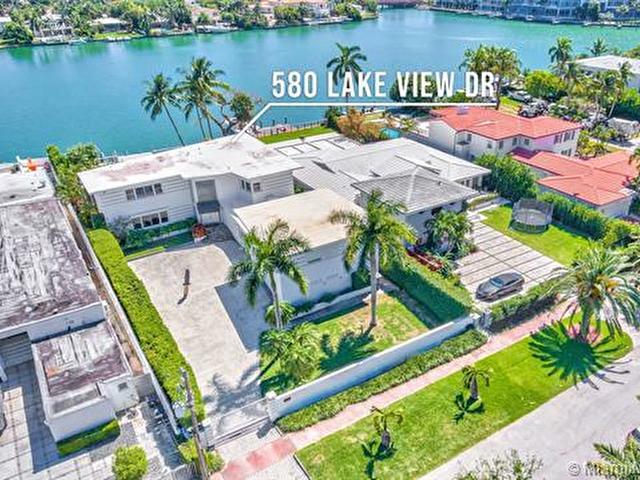 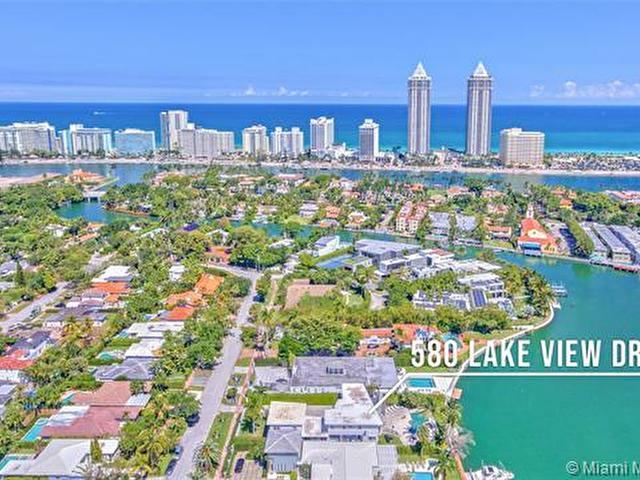 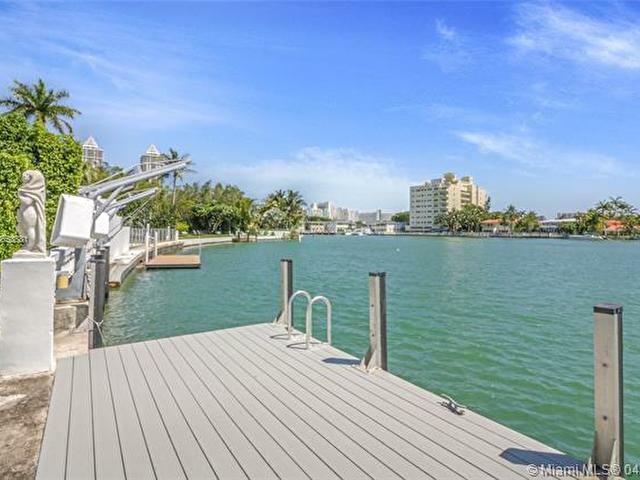 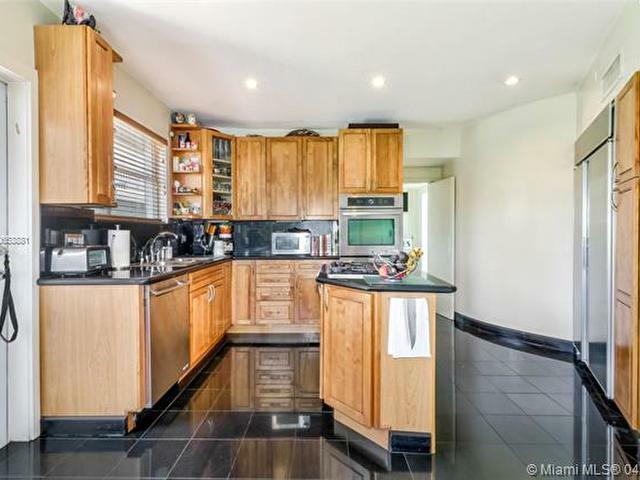 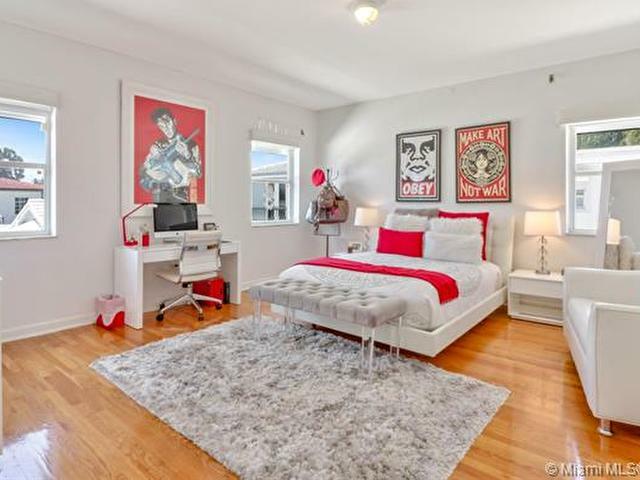 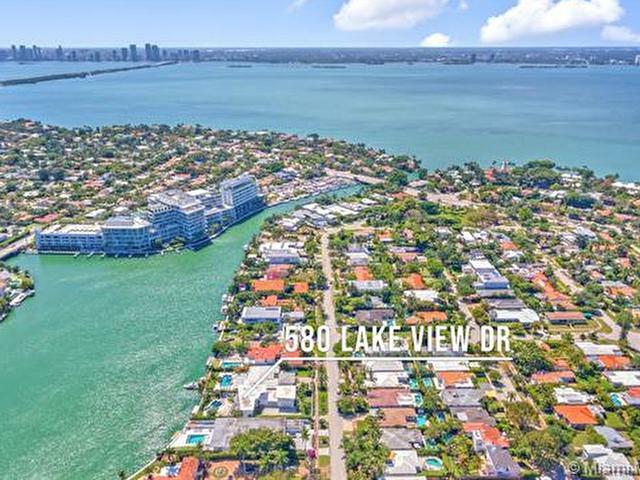 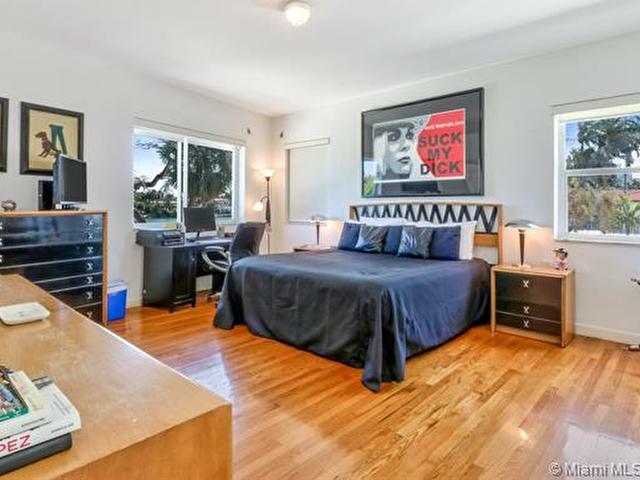 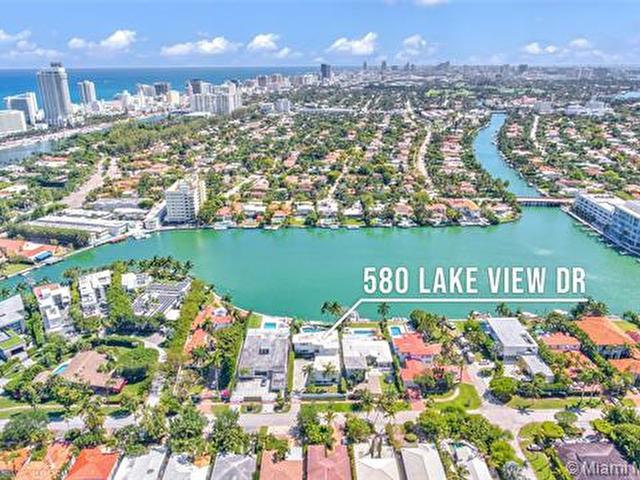 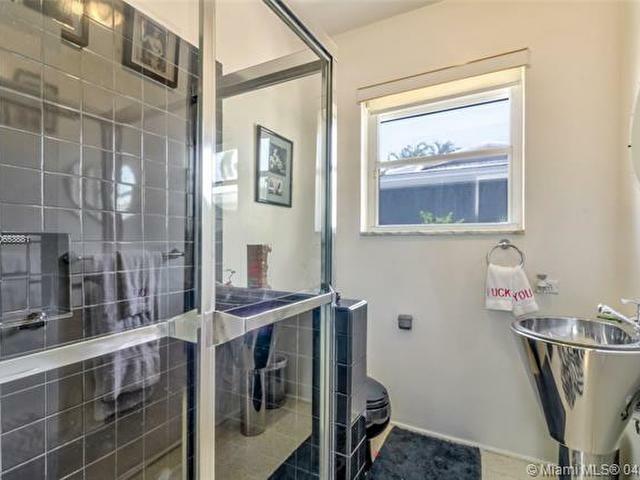 Located on quiet Lakeview Drive, just steps from the park and minutes from South Beach. 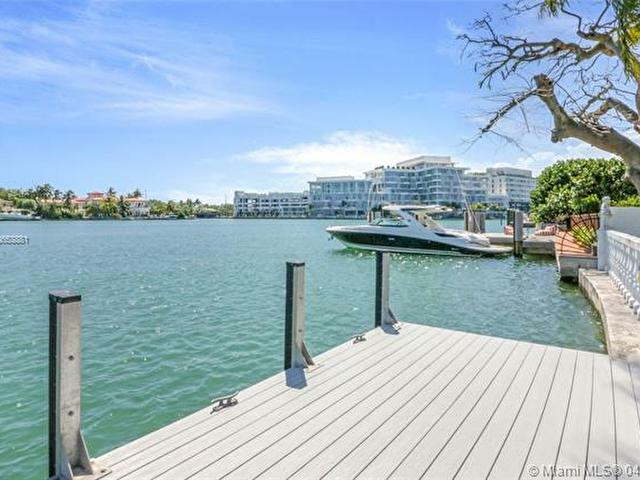 75 ft of waterfront footage.